LUMINOUS COLOUR contains the protecting antioxidants of pomegranate and is for those for whom colour and shine really matters. 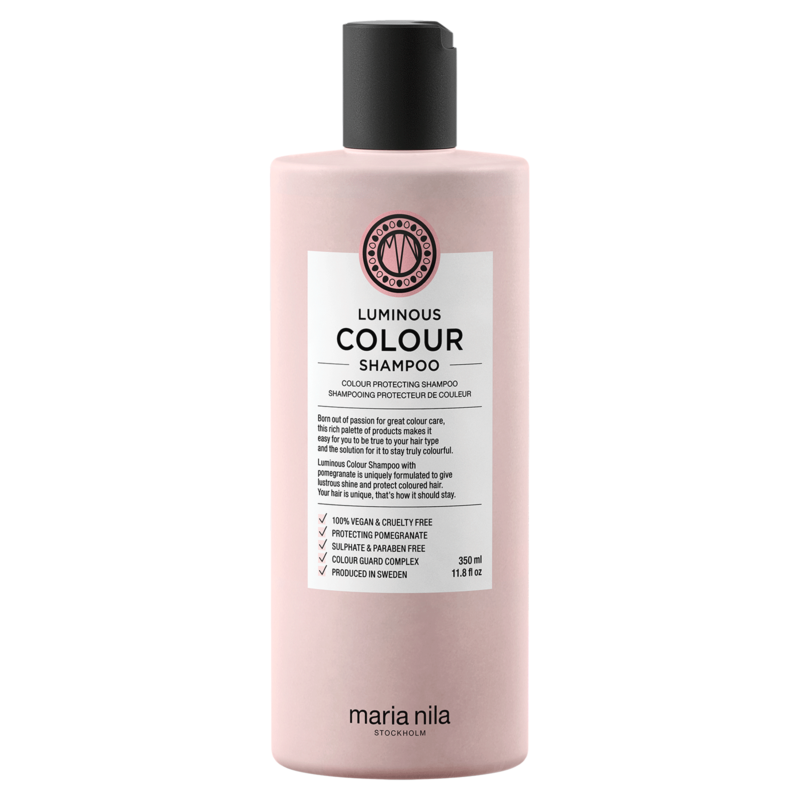 MARIA NILA CARE & STYLE is a six–part colour–protecting haircare range. Because different hair types need different kinds of treatments, each part of the range contains a special ingredient that adds unique properties, making the product perfect for your particular hair type. All products are sulphate and paraben free and made out of 100% vegan ingredients. A luminating shampoo for coloured hair that rebuilds and stengthens the hair structure. Free from sulphates and parabens. Pomegranate extract and Colour Guard Complex protect hair and reduce the loss of colour associ- ated with washing, heat styling, U V rays and free radicals.